A young daredevil who climbed the World Trade Center's centerpiece tower in 2014 has been arrested on top of another Manhattan high-rise. 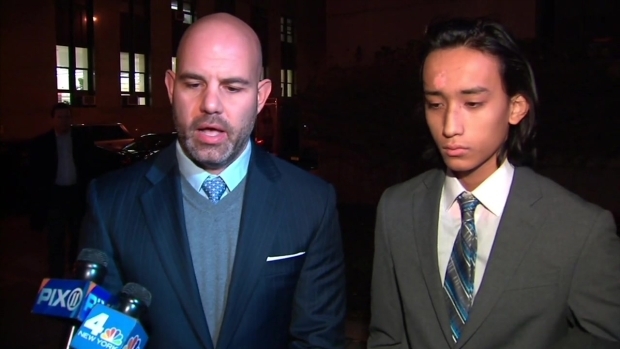 Police say 19-year-old Justin Casquejo of Weehawken, New Jersey, was arrested at the Paramount Tower apartment building on East 39th Street around 9 p.m. Thursday. Someone called 911 after seeing a man doing handstands and other acrobatics near the ledge of the 52-story building, authorities say. When police arrived, Casquejo jumped to a balcony; he was arrested there. A 27-year-old man police say had been taking photos of the stunt was also arrested. Both face charges including criminal trespass and reckless endangerment. 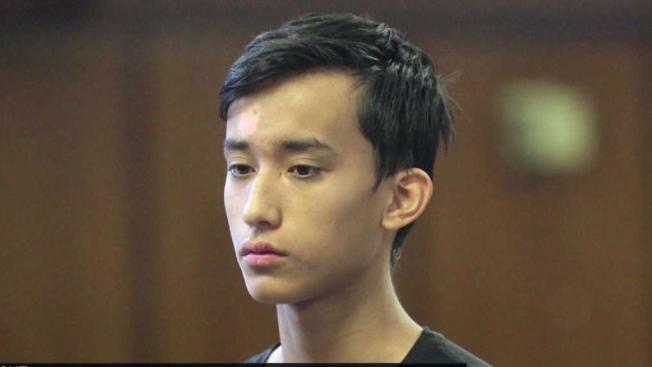 A young daredevil who climbed the World Trade Center's centerpiece tower in 2014 has been arrested on top of another Manhattan high-rise. Erica Byfield reports. Casquejo showed no emotion as he faced a judge on what's now his fourth trespassing arrest. He was held on a $10,000 bail Friday night. After Casquejo's previous arrest, his attorney, Jeremy Saland, said he intended to follow the law. When asked why he was back in court on Friday, his attorney said, "There's a difference between proof beyond a reasonable doubt and probable cause to arrest somebody." "He is not a violent person, he is not a threat," Saland said. "He's not reckless, he's not charged with anything reckless." Casquejo received community service or counseling in the past. But now that he's an adult in the eyes of the law and his punishment could be tougher. The climber also was arrested in December after videos posted on social media showed him dangling from buildings and scaffolding near Central Park. "It's what people do for likes now, it's what's crazy," said Brandon Moreira, of Queens. "It could be life or death." 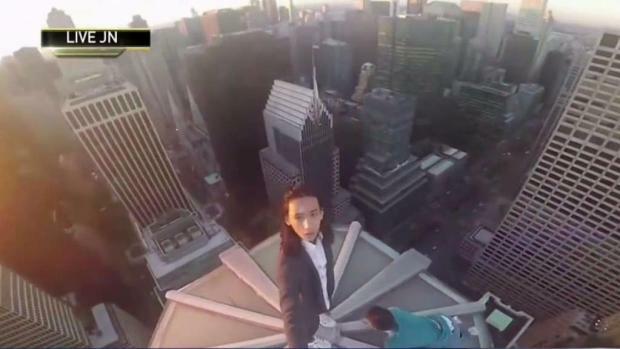 Justin Casquejo was initially arrested after dozens of photos and videos posted in recent weeks to what appears to be Justin Casquejo's Instagram account shows the man, now 18, hanging off of buildings, cranes and rooftops across New York City. His lawyer Jeremy Saland speaks to NBC 4 after the court appearance.